With English being the number one foreign language used in Cyprus, Plato Educational Services offers a wide range of English lessons for all levels and ages. Traditionally, English language courses have been considered an essential part of education in Cyprus. Throughout the years, teaching English has evolved from a passive and standard course to a creative and innovative subject. Plato Educational Services in Limassol, Cyprus offers English lessons from age 3+ in the English for Juniors programme. 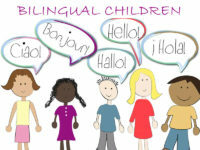 The course aims to introduce young children to a foreign language through games, songs and rhymes. These three concepts activate learning and set the right base for future progress in languages. Plato uses the Functional/Notional Approach as well as CLIL and TPR combined with innovative Educational Technology . Skills and values are also taught as part of Plato Syllabus . Both the IELTS (International English Language Testing System) and the TOEFL (Test Of English as a Foreign Language) are examinations which measure a student’s ability to use and understand English at the university level and are therefore a vital certification to attain for students who are planning to study overseas at a university that requires strong English skills.